A skier readies to go into the backcountry from Whitefish Mountain Resort. 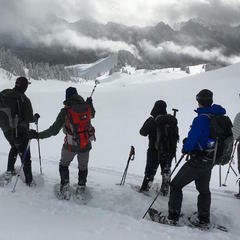 January has rolled out a huge wakeup call across the West with 10 avalanche deaths in 10 days and 11 in the U.S. overall. 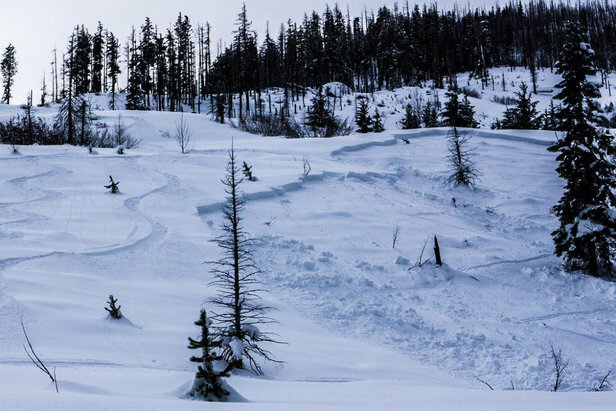 Between Jan. 16-26, 2016, avalanches took the lives of 10 winter recreationers in Alaska, Washington, Montana, Wyoming, Utah and Colorado, and most recently, killed five snowmobilers in the British Columbia mountainous near McBride. According to the Colorado Avalanche Information Center that tracks national data, this January’s fatalities have been the highest since 2001. In contrast, the low snowpack of last winter (2014/15) accrued 11 fatalities for the entire season. This season has already tallied up 15 fatalities in the West—a mix of skiers, snowboarders, snowshoers, climbers and snowmobilers. Last year’s meager snowpack may have caused a complacency to creep into the consciousness of skiers and riders. 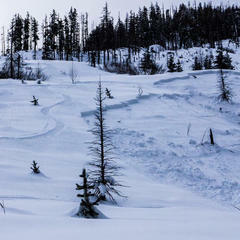 But this latest rash of avalanche deaths serves as a sober reminder of just how precarious the snowpack can be. A remote triggered avalanche on Jan. 17, 2016 at Icicle Creek in Cascade Mountains. But contrary to the normal signs skiers can rely on for snow instability, this winter is different. “We’re not getting obvious signs of instability with cracking and whumpfing, and normal stability tests don’t necessarily work. That makes the snowpack tricky to assess,” says Peitzsch. So what does that mean for the remainder of this winter? According to Peitzsch, the persistent slab could linger, and how it will react is unknown. 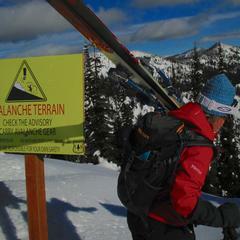 For backcountry skiers, Peitzsch recommends adhering to the forecasted avalanche rating travel advisory. “For right now, stick to low-angled slopes. Now is not the time to push into steeper terrain,” he advocates. Although the layering of the snowpack varies due to latitude, elevation and weather, current avalanche forecasts in Jackson Hole and Colorado echo the same theme. Their snowpack conceals persistent weak layers. 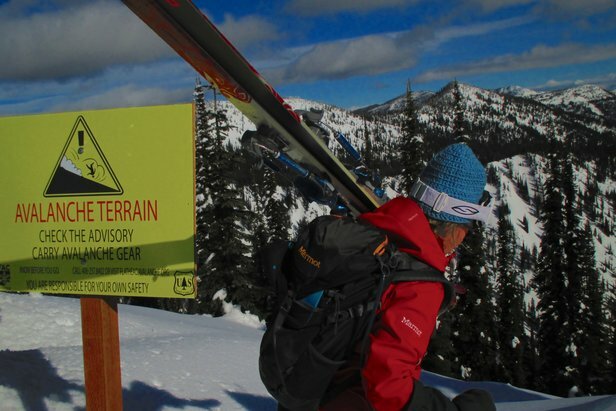 Those regions each tallied three avalanche fatalities this winter. In Utah, similar snowpack factors contributed to the death of one skier and the trapping of another that survived in a Big Cottonwood Canyon avalanche. Forecaster Brett Kobernik with the Utah Avalanche Center dittoes the snowpack analysis from other Rocky Mountain avalanche centers. “We are monitoring a couple different areas in the snowpack. One near the ground continues to plague us, and a second weak layer from a period of dry, cold weather in January,” he explains. A succession of widespread avalanches across Utah pulled some of the tension from slopes, but now snow has refilled those areas. “We are now dealing with repeater avalanches,” he adds. 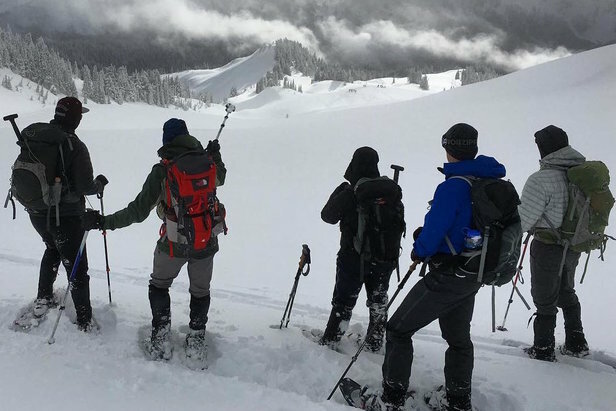 For Kenny Kramer, director of the Northwest Avalanche Center, coastal weather patterns have a different impact on the snow, but still can produce deadly avalanches like the recent one near Mt. Baker. “Our snowpack changes fast,” he explains. While the Cascade snowpack holds some persistent weak layers 2-3 feet down, particularly east of the crest, predicted rising temperatures and heavy rain in the next two days could alter the scenario. Kramer describes the effect of the rain as a potential reset. Heavy rain could stress the snowpack layers enough to trigger natural avalanches, which in turn releases tension across the slope. “If we have heavy rain, that would do great wonders to get those weak layers to release,” he says. AIARE Level 1 Avalanche course at Mt. Rainier, Wash., looking for wind-loaded features. 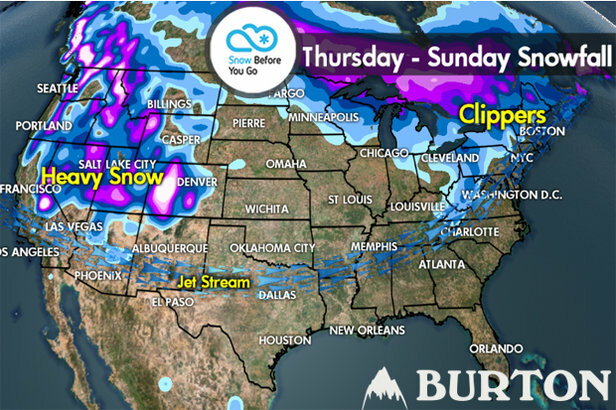 The storm track delivers two large storm systems to the West this weekend.